A few years ago I made my first visit to beautiful Edinburgh and I loved everything about it; the architecture and sights, the scrumptious food, the castle looking out over the city, and most of all the many literary spots I came across during our wanderings. I've been meaning to go back to the city ever since for further explorations but as always life and work got in the way. Until a very good train deal came along (London to Edinburgh for just £28 return, yes please), finally prompting us to book another trip. With the visit having been in my calendar for quite some time now, I've been doing lots of research into what to see, do and eat during our long weekend this Friday until next Monday to make the most of our break. While we did things such as Edinburgh Castle, a tour of the Scottish Parliament, Greyfriars Bobby, museums, a walking tour, and Carlton Hill last time around, there are quite a few obvious sights we missed. 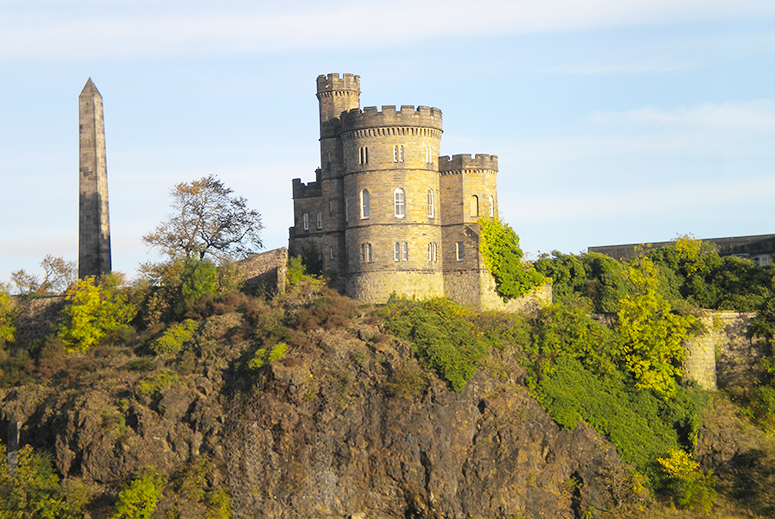 First and foremost is Arthur's Seat, the peak of a hill in Holyrood Park with an amazing view over the city. You're probably going to laugh when I admit this but when we did Carlton Hill last time I thought that was it and I was surprised at both how easy it was and how unimpressive the view in comparison to what people had told me, oops. Having now looked at photos of Arthur's Seat I see how different it is (and how gorgeous – I do love myself some mountains) and I can't wait to explore it. I just hope the weather will co-operate as so far predictions for our visit say rain, rain and rain. 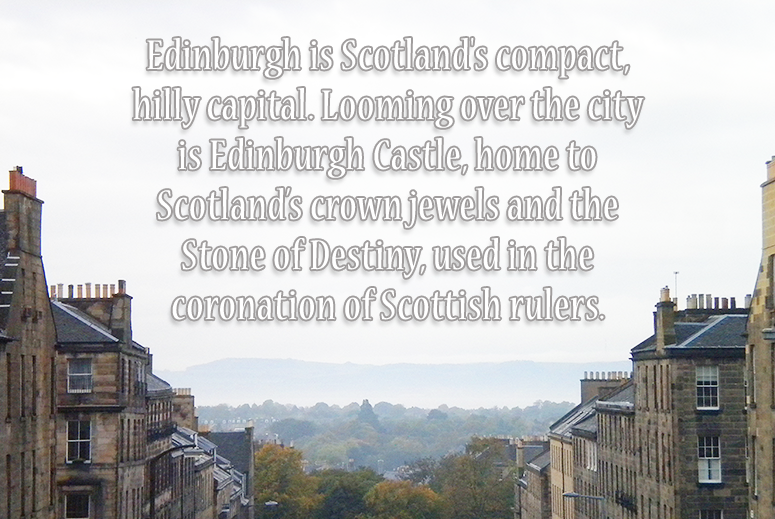 There are also a few places slightly further out we want to explore: Duddingston, Dean Village and Leith. Duddingston is a super cute former village next to Holyrood Park with cobble-stoned streets that looks very picturesque. Dean Village is also a cute looking former village, located just on the other side of the city. And Leith is the coastal area outside of Edinburgh with beach and sea views. There is also Leith Market during the day and Edinburgh Late Night Market in the evening, both of which we want to check out. Some other things I'm planning are to pop by The National Museum of Scotland (in addition to being a great hide-out from the rain, its rooftop has an incredible view over Edinburgh Castle), The Scottish National Gallery of Modern Art (which is near our Airbnb), walk along The Royal Mile for all my shopping and souvenir pick-up needs, and do a Ghost Tour (to vary up last time's walking tour with a spooky twist). As I really enjoyed writing my guides to Literary Oxford and Literary Paris (and you guys seem to like reading them), I did some research into the bookish hot spots in Edinburgh and there are SO many! I am thinking of actually doing three different blog posts on this broken down by people, literary locations, and bookshops. 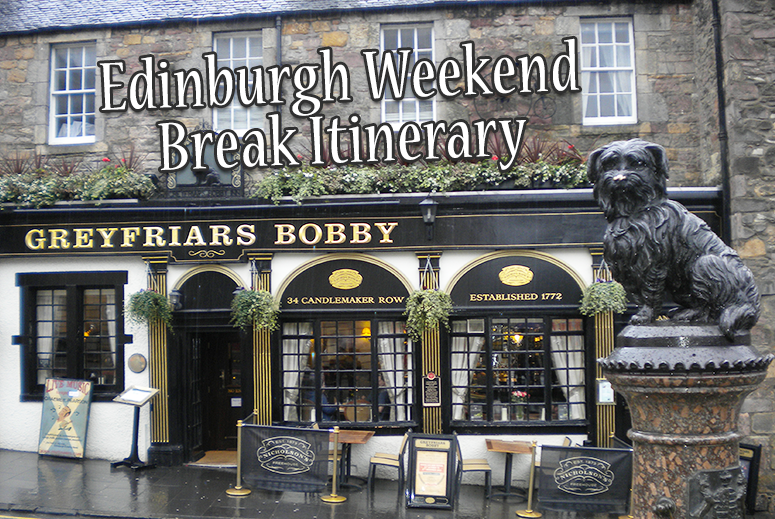 During our last visit in Edinburgh I'd been invited to review a ton of amazing restaurants, including Michael Neave Kitchen and Whisky Bar, Edinburgh Larder, The Magnum, and A Room in the West End. This was such a great and memorable experience, that food was definitely front of mind during my research. And while we're going to leave some of our days open slightly at the moment as we're not quite sure yet what time we'll be where, there are already some restaurants we've got pinned down. The second place we booked also has a literary connection and that is Badger & Co. This restaurant is set in the former home of Kenneth Grahame, author of among others The Wind in the Willows (hence the restaurant name). The menu looks delightful and includes dishes such as Roasted Breast of Wood Pigeon (yes please!) and Grilled Scallops & Smoked Chorizo. Although I do feel they missed a trick by not having the menu themed to the location. Then again, I guess toad wouldn't quite fly off the shelves. Not yet booked but on our radar are The Huxley and Element. The Huxley looks perfect for a quick breakfast or lunch-time pop in as they have an morning and afternoon menu in addition to burgers, salads, nachos, filthy fries and hot dogs (I have my eyes on the Super Oats, Pancakes, and Mango & Chia Pudding, maybe I should just go there for breakfast every day?!). Element, finally, looks like a no-nonsense restaurant with wholesome food. From a full Sunday Roast to Homemade Haggis and Highland Lamb Tagine to North Sea Baked Cod, this is a restaurant making the most of the beautiful local, Scottish flavours. And those are the current plans for our weekend break! We arrive Friday afternoon and leave Monday afternoon, so I hope that everything we want to see, do and eat is doable in what is actually just three days. And of course, most of all, I hope that the weather co-operates as many of our plans are outdoors. If you've been to Edinburgh, what are your top recommendations for sights, literary connections, and restaurants? Do leave them in the comments below! The Aurthur conan doyle center sure sounds interesting! Loved your photos! Hi there! I'm a London-based blogger (originally from the Netherlands) and I write about books, travel, arts & culture, and other things I get up to! I'm PR-friendly and love to discover new brands, destinations and more, so do give me a shout on pagetostagereviews@gmail.com if you want to work together. Have a look at my social channels below to connect and let's have a chat!